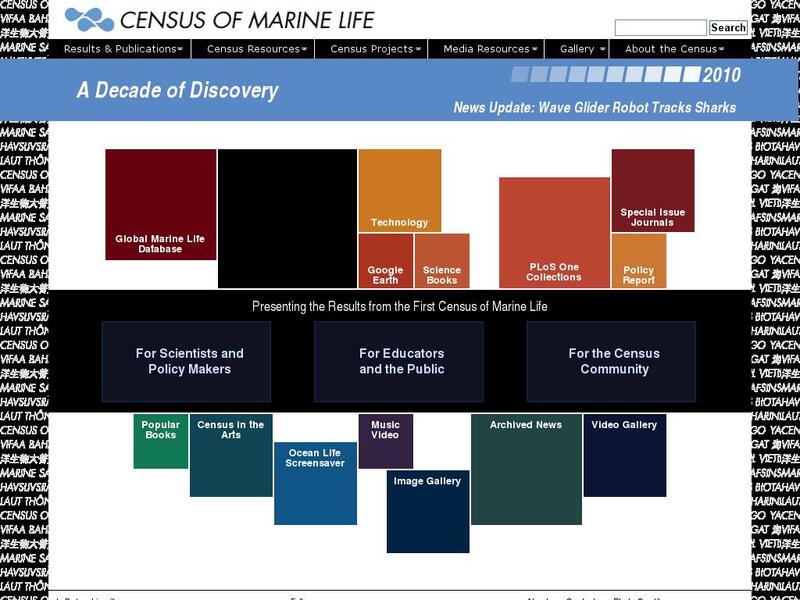 The Census of Marine Life is an initiative to assess and explain the diversity, distribution, and abundance of marine life in the oceans in the past, present, and future. Materials available at the census site include news articles, press releases, and other media resources such as images and video. There is an overview of the project, information on partners and sponsors, and searchable databases of publications and participants. The educational materials page features illustrated articles on marine life discoveries, the use of research techniques and technology, and links to education and outreach programs of related organizations.